The US Pacific Command has a new name. It will now be called US Indo-Pacific Command in the latest move to counter Chinese economic and military pressure in the region, reports The Hill. DefSec Jim Mattis said he directed the change in recognition that “all nations large and small are essential to the region, in order to sustain stability in ocean areas critical to global peace.” The Pentagon has said re-branding will start at a low-impact level, so that the name change doesn’t come with an immediate sticker shock, Military Times reports. The Marine Fighter Attack Training Squadron 501 is churning out new pilots, but low availability of spare parts and the jet’s logistics system continue to cause a headache for those who maintain the aircraft at Marine Corps Air Station Beaufort in South Carolina. Defense News reports concerns heard around the F-35 enterprise is that aircraft availability is suffering as planes sit waiting for spare parts and for key hardware and software modifications. Bell-Boeing conducted demonstrations for the Marine Corps and Air Force “with some virtual” simulation of a V-22 Osprey belly system forward-firing gun, reports Military.com, though there is no program of record for the weapon. For years, officials have wanted a forward firing gun to give the aircraft extra defensive measures when landing in an enemy hot zone. The US Air Force is offering some bomber, fixed-wing combat search-and-rescue, special operations, mobility, and intelligence, surveillance, and reconnaissance pilots the same retention bonuses as fighter pilots, reports Air Force Times. Some pilots could receive aviator retention payments of up to $420,000 if they sign up to serve the maximum 12 more years. Some analysts are warning that the Trump administration’s announcement that it will impose tariffs on steel and aluminum imports from Europe, Mexico, and Canada might hurt America’s defense sector and imperil domestic jobs, reports Defense News. The Army has made its first order of a helicopter-style minidrone that can be used by soldiers for short range reconnaissance, reports Army Times. If the “Black Hornet” continues to perform at Army expectations in ongoing tests it could be one of the soldier-borne sensors distributed across infantry units. Army Gen. John Nicholson, commander of US forces in Afghanistan, was asked why the US should still be in Afghanistan. “There is a threat from this region to our homeland. So our choice is fairly simple: We either keep the pressure on them here, or they bring the fight to our doorstep,” he told Military Times. The Associated Press reports that Islamic State militants dressed in what appeared to be US military uniforms and riding in two armored vehicles launched an attack on the Interior Ministry in Kabul. Afghan forces managed to repel the assault, leaving all of the attackers dead. IT and national security firms MacAulay-Brown and Smartronix are set to partner on a tactical and remote command, control, communications, computers, collaboration, and intelligence, or C5I, Edge Systems task order for the Navy, reports Military Embedded Systems. Ken Johansen, a member of the GEICO Skytypers airshow team, was killed last week when his SNJ-2 aircraft crashed in Melville, NY, on Long Island, reports airshowstuff.com. The Skytypers had been scheduled to perform at Pax River’s Air Expo 2018, but that performance was canceled. Pets of US military members stationed overseas can fly back to the States on United Airlines regardless of new PetSafe restrictions, but only until June 18, reports Military Times. Brass gongs and bells meant to help boats navigate in poor visibility are being stolen from buoys off Maine’s coast, reports Navy Times. The Coast Guard says the sounding devices have been stolen over the past six months, and it’s seeking the public’s help in finding them. APC Scientific Consultants & Associates LLC, Bloomingdale, New Jersey (W15QKN-18-D-0051); Pioneering Decisive Solutions Inc., California, Maryland (W15QKN-18-D-0052); Total Technology Inc., Cherry Hill, New Jersey (W15QKN-18-D-0053); SAVIT Corp., Rockaway, New Jersey (W15QKN-18-D-0054); and WisEngineering LLC, Dover, New Jersey (W15QKN-18-D-0055), will compete for each order of the $99,996,305 firm-fixed-price contract for weapons research, design, and support services. Bids were solicited via the Internet with nine received. Work locations and funding will be determined with each order, with an estimated completion date of May 15, 2023. US Army Contracting Command, New Jersey, is the contracting activity. Northrop Grumman Systems Corp., Chantilly, Virginia, has been awarded a not-to-exceed $866,000,000 indefinite-delivery/indefinite-quantity multiple contract line item contract for the sustainment and modification of radar sensors, providing depot-level sustainment services and modification projects for the Ballistic Missile Early Warning systems and PAVE Phased Array Warning system radars, and the Parameter Acquisition Radar Attack Characterization system. Work will be performed in Colorado Springs, Colorado; and other locations, and is expected to be complete by May 31, 2023. This award is the result of a competitive acquisition, and three offers were received. No funds are being obligated at the time of award. Air Force Life Cycle Management Center, Peterson Air Force Base, Colorado, is the contracting activity (FA8723-18-D-0001). DLT Solutions LLC, Herndon, Virginia, was awarded a $379,309,544 indefinite-delivery/indefinite-quantity contract, resulting from solicitation N00189-18-R-Q012 that will include terms and conditions for the placement of firm-fixed-price delivery orders allowing the department of the Navy to purchase licenses and technical support for Oracle software programs. The contract will include a 60-month ordering period, with no option periods. Work will be performed in Herndon, Virginia, and the ordering period of the contract is expected to be completed by May 2023. At time of award, the first delivery order will be issued in the amount of $55,699,999 to fund the contract’s minimum amount; the funding will be fiscal 2018 operations and maintenance (Navy) appropriations in the amount of $47,135,922; and fiscal 2018 operations and maintenance (Marine Corps) appropriations in the amount of $8,564,077, both of which will expire at the end of the current fiscal year. This is a brand name action, processed pursuant to 10 US Code 2304(c)(1), as implemented by Federal Acquisition Regulation 6.302-1, Only one responsible source and no other supplies or services will satisfy agency requirements, for Oracle software products and technical support. The requirement was solicited electronically through the Federal Business Opportunities website, and the solicitation limited competition to Oracle’s Government Resell Programs Group and members of the Oracle Partner Network at the gold level or higher, which includes over 100 companies. Five proposals were received. The award decision was made on a lowest-price/technically-acceptable basis. While the requirement was not competitively procured, competition was sought to the maximum extent practicable. Naval Supply Systems Command Fleet Logistics Center Norfolk Contracting Department, Mechanicsburg, Pennsylvania, is the contracting activity (N00189-18-D-Q001) Awarded May 31, 2018. Raytheon Intelligence, Information and Services, Dulles, Virginia, is awarded a $64,476,915 fixed price modification P00024 under a previously awarded firm-fixed price contract (M67004-16-C-0005) in support of the Marine Corps Logistics Integration Support (LIS) program. Work will be performed in Albany, Georgia (50 percent); Camp Pendleton, California (21 percent); Camp Lejeune, North Carolina (12 percent); Barstow, California (11 percent); Okinawa, Japan (5 percent); and Kaneohe Bay, Hawaii (1 percent). Work is expected to be completed May 31, 2019. Fiscal 2018 operations and maintenance funds in the amount of $14,000,000 will be obligated at the time of award and will expire at the end of the current fiscal year. Working capital funds (Navy) in the amount of $25,023,000 will be obligated at the time of award and will not expire at the end of the current fiscal year. Marine Corps Logistics Command, Albany, Georgia, is the contracting activity. BAE Systems Norfolk Ship Repair, Norfolk, Virginia, is awarded a $36,610,149 firm-fixed-price contract for the execution of USS Cole (DDG 67) fiscal 2018 extended dry-docking selected restricted availability. This availability will include a combination of maintenance, modernization and repair of USS Cole. This is a long-term availability and was competed on a coast-wide (East and Gulf coast) basis without limiting the place of performance to the vessel’s homeport. BAE will provide the facilities and human resources capable of completing, coordinating and integrating multiple areas of ship maintenance, repair and modernization for USS Cole. This contract includes options which, if exercised, would bring the cumulative value of this contract to $96,700,001. Work will be performed in Norfolk, Virginia, and is expected to be completed by July 2019. Fiscal 2018 operations and maintenance (Navy); and fiscal 2018 other procurement (Navy) funding in the amount of $36,610,149 will be obligated at time of award, and funding in the amount of $18,638,686 will expire at the end of the current fiscal year. This contract was competitively procured using full and open competition via the Federal Business Opportunities website. Only one offer was received in response to solicitation number N00024-17-R-4438. The Naval Sea Systems Command, Washington, District of Columbia, is the contracting activity (N00024-18-C-4438). Phoenix Air Group Inc., Cartersville, Georgia, is awarded $14,627,280 for modification P00008 to a previously awarded indefinite-delivery/indefinite-quantity contract (N00421-14-D-0005). This modification increases the contract value and extends the period of performance by two years. This contract provides services to support Electronic Warfare Aircraft Training (EWAT) Jamming systems training for the Navy. 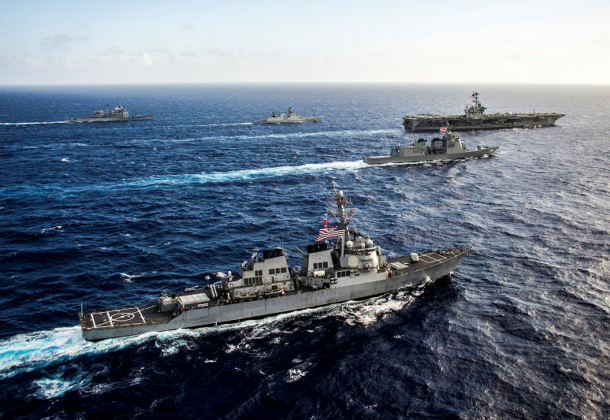 EWAT provides stand-off jamming for opposing force threat simulation during various levels of exercises for shipboard and aircrew tactics, aircraft weapon system operators, and for procedures to counter potential enemy electronic attack threats. Work will be performed in Jacksonville, Florida (50 percent); San Diego, California (35 percent); and Virginia Beach, Virginia (15 percent), and is expected to be completed in November 2020. No funds will be obligated at time of award. Funds will be obligated on individual task orders as they are issued. 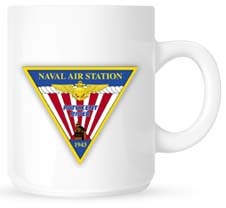 The Naval Air Warfare Center Aircraft Division, Patuxent River, Maryland, is the contracting activity. Service Source Inc., Oakton, Virginia, was awarded an $8,516,004 modification (P00008) to contract W911RZ-16-D-0001 for dining facility attendants in support of the Fort Carson, Colorado, Logistics Readiness Center. Work locations and funding will be determined with each order, with an estimated completion date of June 30, 2019. US Army Mission and Installation Contracting Command, Fort Carson, Colorado, is the contracting activity. SRA International Inc., a General Dynamics Information Technology company in Falls Church, Virginia, is being awarded a maximum potential value $93,200,000 modification under a previously awarded indefinite-delivery/indefinite-quantity contract for the existing personnel modernization contract (N00039-14-D-0001). There are existing individual task orders under this contract and additional orders that will be awarded to fulfill the system consolidation envisioned under the original Defense Integrated Military Human Resources System program and subsequent personnel modernization strategy, and to modernize the Navy Standard Integrated Personnel System Enterprise Resource Program system. Work will be performed in New Orleans, Louisiana, and is expected to be completed by September 2020. If all increments are implemented, work could continue until June 2021. No additional funding will be placed on contract or obligated at the time of modification award. This action is a result of a justification and approval that authorizes total incremental increases to the contract ceiling of $177,000,000 by $189,000,000 to a total of $366,000,000, and to potentially extend the ordering period, on an incremental basis by contract modification, allowing up to one year of additional ordering through June 2020. This contract modification was not competitively procured because it is a sole-source acquisition pursuant to the authority of 10 US Code 2304(c)(1), one source or limited sources (Federal Acquisition Regulation subpart 6.302-1). The Space and Naval Warfare Systems Command, San Diego, California, is the contracting activity. Carahsoft Technology Corp., Reston, Virginia, is awarded an estimated value $49,730,000 for contract modification to previously awarded blanket purchase agreement (BPA) N66001-16-A-0001 for the continued ordering of VMware software maintenance and new VMware software licenses. This contract modification increases the estimated value of the BPA from $42,970,000 to $92,700,000. This BPA does not obligate funds. However, firm-fixed-price orders will continue to be placed against the BPA using primarily operations and maintenance (Navy) funds. This increase in estimated value is supported by a limited source justification in accordance with Federal Acquisition Regulation (FAR) 8.405-6, which will be posted in accordance with FAR 8.405-6(b)(3). This BPA continues to be in support of the Department of Navy’s Enterprise Software Licensing initiative. Space and Naval Warfare Systems Center Pacific, San Diego, California, is the contracting activity. RQ-DPR JV, Carlsbad, California, is awarded a $22,051,000 firm-fixed-price contract for renovation of the Fleet Training Building N25A at Naval Station Norfolk. The work to be performed provides lead and asbestos removal, investigate and treat termite infestation and make essential repairs. The work also includes repair of canopy, portico, façade and painting the exterior in addition to replacement of roof and insulation with site and utilities repairs. Interior renovations will include finishes, electrical, mechanical, plumbing, and lighting systems along with replacement of doors, frames and floor finishes. Renovations will also replace the elevator, toilets, fire suppression systems, smoke detection systems and building egress. The contract also contains two unexercised options, which if exercised would increase cumulative contract value to $24,591,746. Work will be performed in Norfolk, Virginia, and is expected to be completed by January 2022. Fiscal 2018 operations and maintenance (Navy) contract funds in the amount of $22,051,000 are obligated on this award and will expire at the end of the current fiscal year. This contract was competitively procured via the Navy Electronic Commerce Online website, with four proposals received. The Naval Facilities Engineering Command, Mid-Atlantic, Norfolk, Virginia, is the contracting activity (N40085-18-C-1136). Carahsoft Technology Corp., Reston, Virginia, is awarded $7,083,668 for firm-fixed-price purchase order N66001-18-F-1035 under previously awarded blanket purchase agreement N66001-16-A-0001 for the renewal of existing VMware software maintenance and new VMware software licenses for the Marine Corps. Fiscal 2018 operations and maintenance (Marine Corps) funds in the amount of $7,083,668 will be obligated at the time of award. Space and Naval Warfare Systems Center Pacific, San Diego, California, is the contracting activity. Pivotal Software Inc., San Francisco, California, has been awarded a $47,537,079 fixed-base, production, other transaction agreement. This agreement will utilize the prototyped methodology, and the software and services that support them, across the entire Air Operations Center, as well as the targeting and geospatial-intelligence enterprises. Work will be performed in San Francisco, California; Cambridge, Massachusetts; Denver, Colorado; Washington, District of Columbia; Tyndall Air Force Base, Florida; Osan Air Base, Republic of Korea; Shaw AFB, South Carolina; Al Udeid AB, Qatar; Hickam AFB, Hawaii; Langley AFB, Virginia; Ramstein AB, Germany; Davis-Monthan AFB, Arizona; Joint Base Elmendorf-Richardson, Alaska, and is expected to be completed by May 31, 2019. Fiscal 2017 research, development, test and evaluation funds; and fiscal 2018 operations and maintenance funding in the amount of $10,514,658 will be obligated at the time of award. Air Force Life Cycle Management Center, Battle Management, Hanscom AFB, Massachusetts, is the agreement activity (FA8730-18-9-0001). Leidos Innovations Corp., Gaithersburg, Maryland, was awarded a $15,814,767 modification (P00016) to Foreign Military Sales (Taiwan, Saudi Arabia and Kuwait) contract W31P4Q-15-C-0099 for fabrication and delivery of General Electronics Test Station hardware and equipment. Work will be performed in Huntsville, Alabama, with an estimated completion date of Dec. 31, 2020. Fiscal 2018 foreign military sales funds in the amount of $15,814,767 were obligated at the time of the award. US Army Contracting Command, Redstone Arsenal, Alabama, is the contracting activity. Summit Aviation Inc., Middletown, Delaware, is being awarded an $8,998,544 cost-plus-fixed-fee contract for induction of legacy aircraft in support of US Special Operation Command, Technology Applications Contracting Office, for MH47G induction program. Subject contract will be a non-competitive award in accordance with FAR 6.302-1. The sources sought and pre-solicitation notices for the contract were posted on the Federal Business Opportunity website. The majority of the work will be performed in Middleton, Delaware. US Special Operations Command, Tampa, Florida, is the contracting activity (H92241-18-C-0005).